What a week it has been! 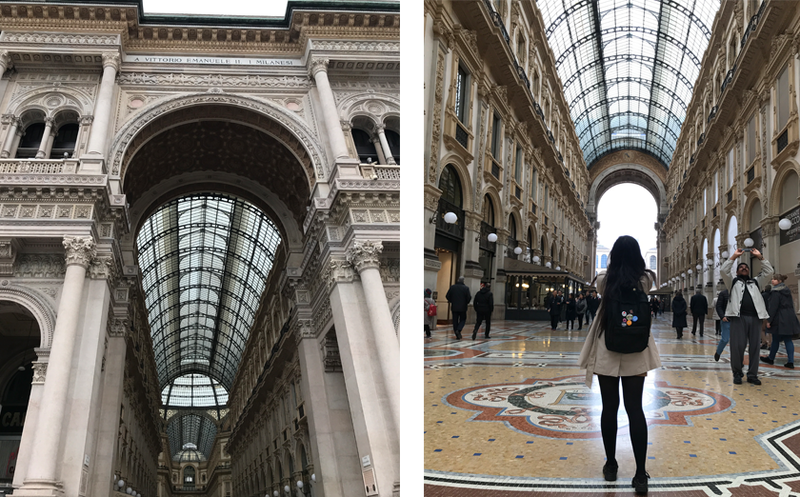 I’ve gone to Milan, returned to catch-up with all my University work, took a trip to London for Code First: Girls’ annual conference (post detailing all about it coming soon!) and all the same time, been trying to balance my health and wellness and other commitments. It has been busy, but I’m learning loads of different things, and that’s always great. Over the past year, I’ve made active steps to get out of my comfort zone — by speaking publically in events, by putting myself out there (fully aware of criticism that may follow), by doing things that terrify me: whether that’s getting involved in hackathons or travelling. 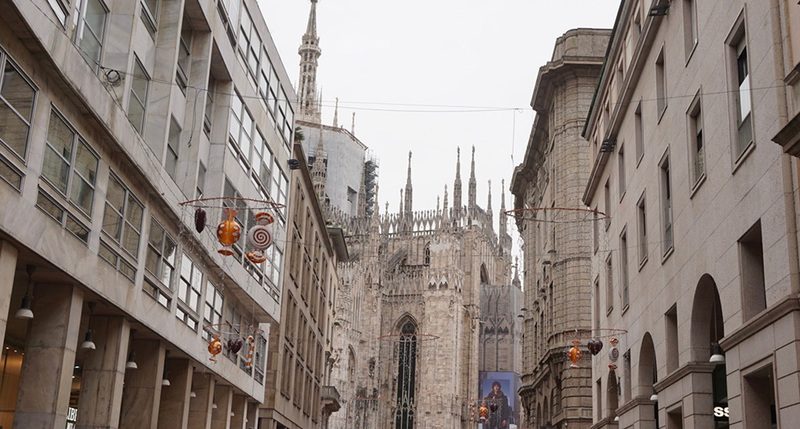 The final place of the year that we chose was Milan, Italy. Truthfully, I was very excited to go when I first booked it but increasingly as time went on, I had a bad feeling about it and felt quite lazy to go especially in the week I had a lot to do. But as it was already booked, I just went and besides, you all know how I feel about Italian food! Once we arrived, we took a coach to central Milan where we then took the metro to our hotel, Star Business Palace. Unlike New York, the metro system in Europe has consistently been quite easy to understand and follow. Central Milano station reminded me a lot of Grand Central Station! If you’re wearing a backpack, place your zip right at the bottom, not the top. Hamdah got her purse stolen because of this. Thankfully, we could freeze the cards so no one could use them. When buying a metro ticket, be super aware of your surroundings. I wasn’t at first and let this random woman “help” me by my ticket where she then tricked me into giving her the rest of the change from the ticket. After the trauma in the metro, we decided to stay in the hotel for the rest of the day and ordered two UberEats meals instead of going out. It was the first time I had felt super unsafe and paranoid whilst travelling to the extent I just wanted to stay inside. The Duomo Cathedral was beautiful. But the surrounding area though wasn’t very nice. Everyone seemed to be trying to take our things or scam us in some way. Yesterday I surprised myself by not caring about the shopping district in Milan. For lunch, we came across the Old Wild West and had chips and a burger (no Italian food as of yet!) 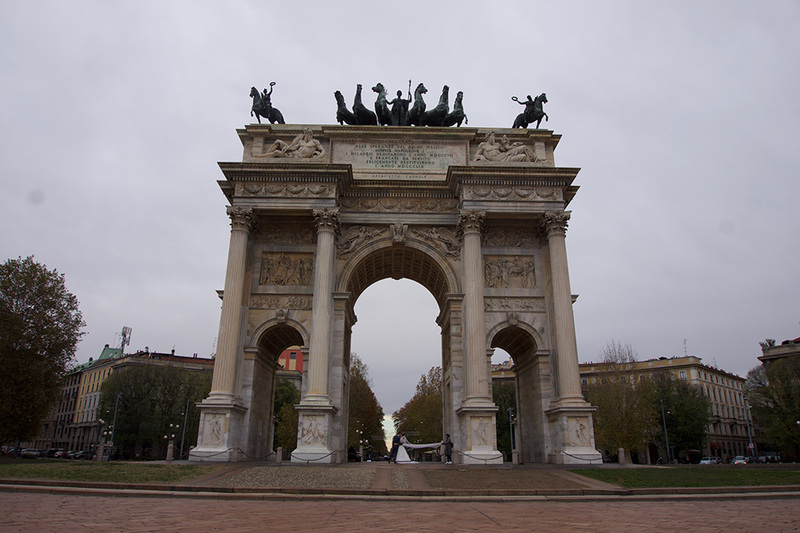 which was nearby the Arco della Pace where we also saw a couple getting a little wedding photoshoot done. It was warmed my heart and reminded me of when I went to New York and saw about 6 wedding photoshoots in one day! 😆 Would you ever get a wedding shoot (wearing your wedding dress) outside like that? Can you see the couple? At around dinner, we went to a restaurant just outside our hotel. It was the first time we were actually having “Italian” food because up until this point, we only had burgers and chips. Being an absolute Italian food lover, I was very excited! Unfortunately, it wasn’t great. 🤢 I was quite disappointed, I had better pasta and pizza back in Sheffield. I think the presentation of the pizza in the photo above says it all really. This was probably my favourite day of the trip. Everything so far was such a disappointment and I felt incredibly stressed by my constant paranoia of the environment around me. To get away from the city, we went to Lake Como which is quite far out from central Milan (over an hour train ride) but offered a beautiful, tranquil place to find some headspace. Top tip: I shared this on Instagram and a few people replied suggesting to go further away from the centre (more in back streets etc.) for cheap and more authentic food. Noted for the future! I never felt more relieved when we got to our hotel room. 😓 It was constant harassment, I was exhausted by the end of it. It’s a shame the trip wasn’t a good as you would have hoped! I guess all a learning experience nonetheless. I’ve been to Italy twice now and I am not a fan, the first time I went to Naples (which actually was pretty good and their food was amazing – I’ve heard they have the best food in Italy), the second time Rome which I didn’t like that much (beautiful city, not great people). For the latter, we also got scammed once, another dude half scammed us and generally everyone kept calling us Michael Jackson/Michelle Obama (I guess those were the only two black people they knew). I was considering going back to go to Venice this year but then I read an article about an African man drowning in a canal with onlookers just filming it on their phones… so I decided on Barcelona instead lol. But I’ll still try and go back one day, just for the views! Welcome back from your trip to Milan! I’m sorry to hear that your experience wasn’t all that great. Hope you’ll have another opportunity to make up this trip next year! My coworker told me that a lot of pickpocketing happens in Italy (one case where they sneakily teared up his uncle’s jacket, looking for his wallet). These thieves are sneaky! At least Hamdah got to freeze her cards before any fraud happened. The architecture looks gorgeous! Good for you that you were able to resist not caring for luxury brands shopping there! It’s a bummer that Italian food wasn’t all that great considering how you were at the heart of pasta and pizza! I can’t believe they’d charge you that much for water! I’m glad that you made it hope despite missing your flight! Even though the people in Italy were rude, you had people back home to guide you :). Wow, sorry to hear about all the bad experiences in Milan! I’ve heard about the scams and such, but it’s still surprising to hear how bad it really is. That’s terrible that Hamdah’s purse was stolen and that people kept trying to scam you both. I also can’t believe how unhelpful people were when you missed your flight. Seriously, what is wrong with them! That’s really disappointing about the food, especially with your love of Italian food 🙁 That’s a good tip to move away from the busy areas to find better and cheaper foods. I’m glad you had a good day during the trip though! The views at Lake Como are beautiful, and it looks like a great place to unwind! Good on you for seeing a positive in all of that though. Even if it wasn’t as great as you hoped, it’s still a learning experience. Hopefully the next trip you take will be much more relaxing! Welcome back from your trip! I’ve been following your tweets about this trip too, and I’m sorry it didn’t turn out as well as you hoped! So bummed to hear about everything that happened in Milan! But I can definitely see how you’d feel like that. The ONLY reason we ended up at great places was because we were with someone who had lived there for 10 years, and also had my brother giving us all the advice we needed to avoid scams and mishaps (especially about not accepting ‘help’ with the train tickets!). BUT, don’t write Italy off yet! We only spent 1 day in Milan (that’s ALL we needed), but you’d adore places like Florence, Tuscany, and small towns on the coast. Even though it wasn’t a great experience, you learned from it! And traveling is just wonderful overall. We’re dying to hop on another plane again! I’m sorry you didn’t have great experiences of Italy. Milan isn’t the most “typical” Italian place to visit, and I’ve had bad stuff happening to me too. I really have a love-hate relationship with Milan. But Italy is a fantastic country, if you go to the right places. The best thing is to go away from the big cities and go out in the country to the little mountain villages or places like that. I spend a couple of weeks every year in central Italy, it really is lovely there, the area there is fabulous with lots of stunning sceneries, lovely people, lovely food.. I hope you can come back to Italy and see the beauty it has to offer. Just avoid the big cities. Oh nooos I’m sorry that you had a hard time in Milan dear. I remember you talking about some Times Square scammers in your New York post too – stories about pickpockets and cons are pretty common to me so I go around expecting them. Maybe it’s because I grew up in a hectic city. There was this one time I got lost in the middle of Kowloon (dangerous area in Hong Kong) and some dude tried to show my friend and I the way – we didn’t let him. Meanwhile, on my trip to San Diego this random old guy just started chatting with me while walking his dog – no funny business at all! I see a lot of commentators saying that they’re not fans of Italy – I’ve never been to Europe at all so I can’t agree or disagree. I think there could be a lot to see otherwise. Have you ever been to Manarola? My friend recently went and it looked beautiful! Lake Como looks so peaceful! I didn’t know that’s where Georgie got engaged hehehe. I like the layered houses – they remind me a lot of San Francisco. That’s really terrible you missed your flight and got bad service from the airport. 🙁 I hope dealing with them prepared you for similar situations in the future! 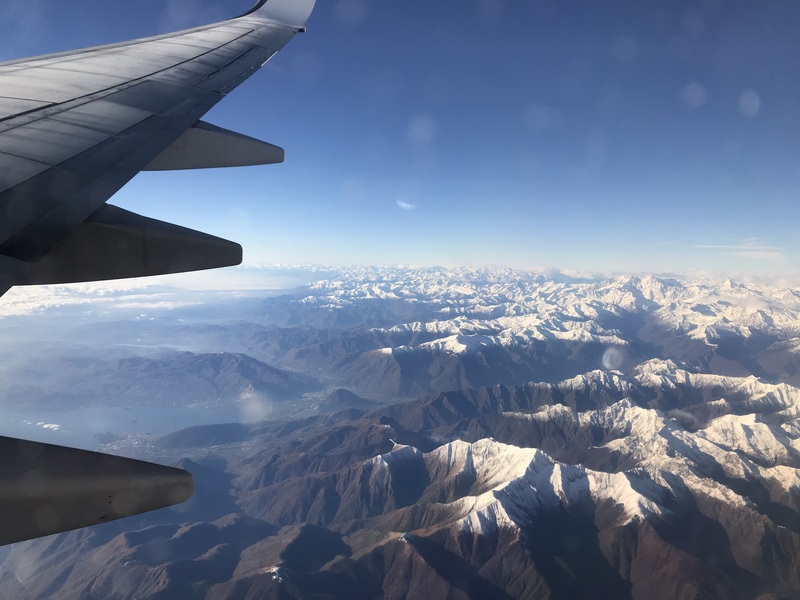 Sometimes they get really unreasonable – I once dealt with a guy who insisted I switch to a flight that goes to a completely different destination (in the same country) because they were overbooked……. I stood firm and eventually he gave me a front-row seat. Ha. I watched your Instagram videos when you were in Milan and couldn’t believe what a rubbish time you were having. I’ve always wanted to visit there, and would never have thought the people would have been so awful. As if someone stole Hamdah’s purse as soon as you got there. That’s awful! I hope she managed to get it all sorted and didn’t lose too much money. OMG that pizza looks ridiculous. As if they just put a couple of leaves on top. That’s so lazy! I would have expected the food to be amazing there as well! I’m glad you got to have a nice day in Lake Como. After the stress of the first few days, that was definitely needed. The photos you took there are absolutely beautiful and I’m glad to here you had fun there. Hope your next holiday is much better!